This flute duet is taken from Blake's Young Flutist's Magazine, published in Philadelphia in 1833. 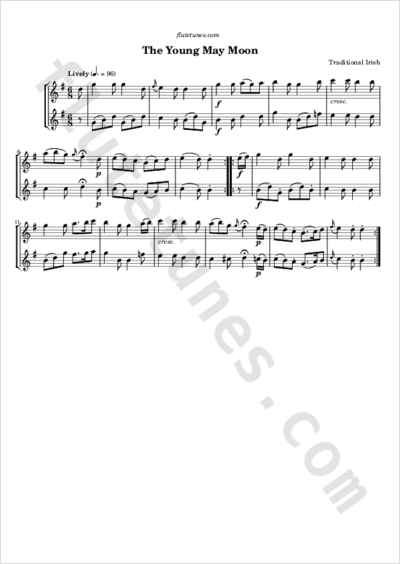 The tune appears in a number of English and Scottish music manuscripts and printed collections of the early 19th century, but the earliest appearance of the melody was printed as “Irish Air from Robin Hood” in Thompson's Hibernian Muse (1786). The title “The Young May Moon” comes from a song set to the tune by Thomas Moore and published in his Irish Melodies.